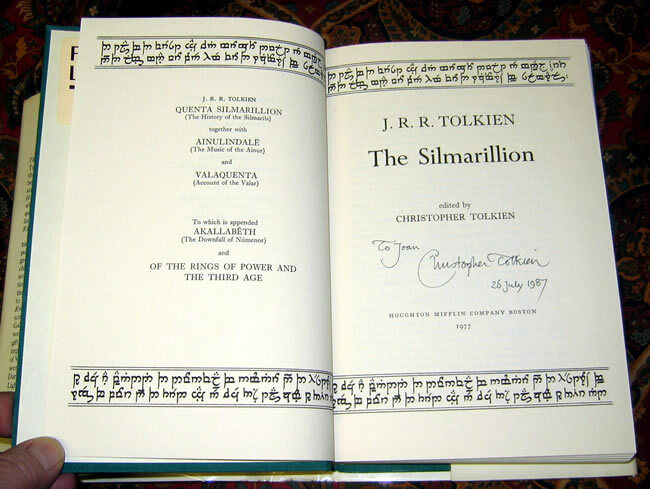 #000602 - The Silmarillion, 1st US Edition, Signed by Christopher Tolkien to the title page - $1,000.00 This particular copy was signed & dated by Christopher Tolkien, for the previous owner, at the July 26, 1987 Mythopoeic Conference held at Marquette University in Milwaukee, WI. 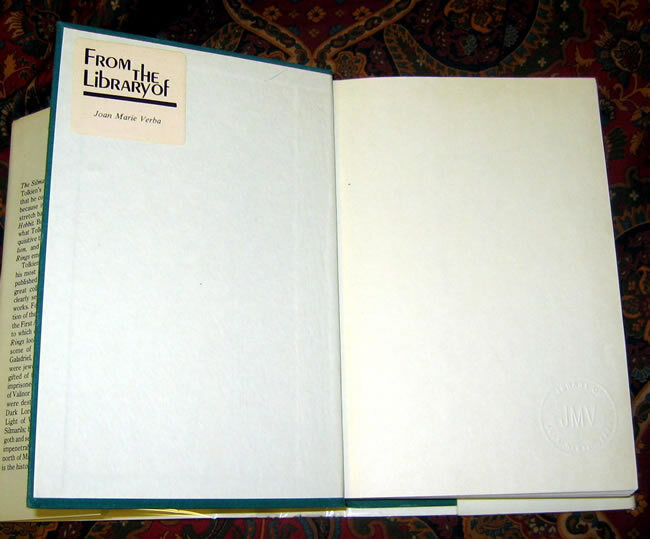 The book also has the previous owners bookplate on the front endpaper, mostly hidden under the front flap of the dustjacket. 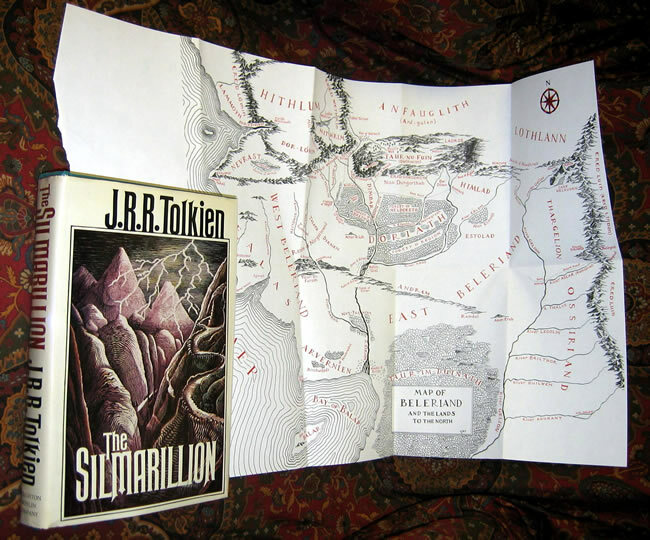 The book is in Very Good Plus condition, with no other writing or marks, besides the inscription by Christopher Tolkien. A slight bit of soiling or dusty fingerprint marks to the cloth, otherwise Near Fine. With no fading or soiling the dustjacket is in Near Fine condition. 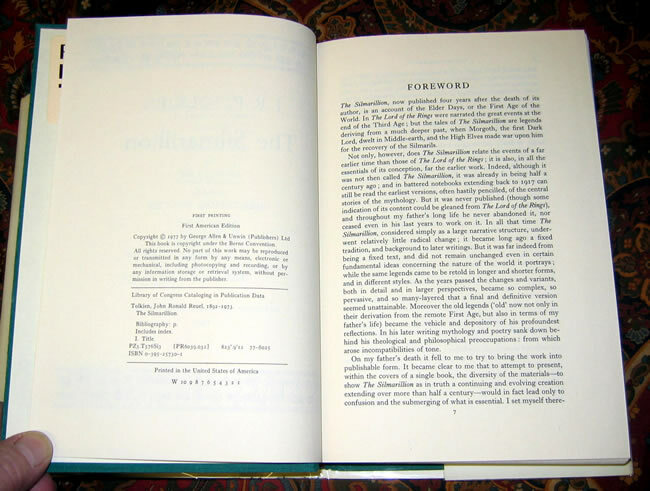 A wonderful copy of J.R.R. 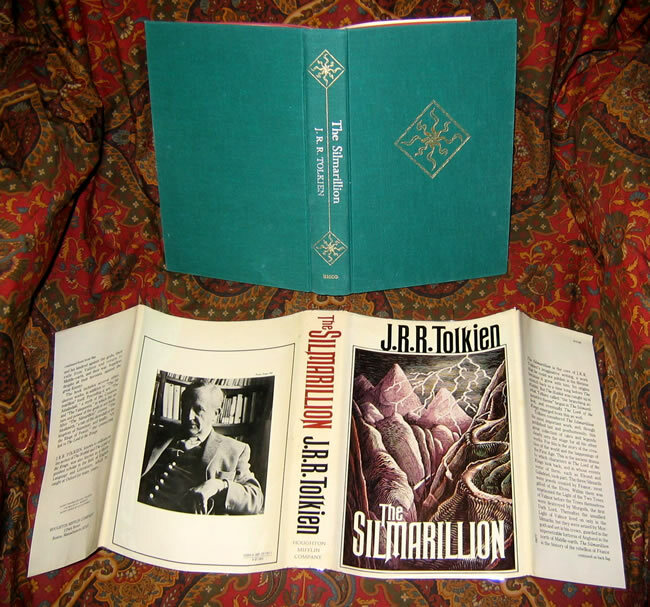 Tolkien's lifetime work containing his account of the mythology of Middle-earth, Edited and signed by his son, Christopher Tolkien.